Interest to know more and make some bucks running this interesting business? Maybe to test the waters? Read on below for why people are investing in toner buyback programs and discover how you can make money selling printer toner. If you were to recycle your printer toner and earn money doing it, start preparing some time to do quite a bit of research. Many programs have a minimum amount that you must send for recycling but you may earn less than a dime per cartridge. You’re basically giving away the cartridges. Some programs at office supply stores like Staples actually require you to purchase a minimum of $30 in printer ink and toner every 180 days so you can earn a $2 coupon per cartridge (with a limit of 10 per month). Or you can sign up for their upgraded membership with a credit card for $59 per year. Who wants a credit check when you’re just trying to get rid of your toner? Even worse, the amount you earn per cartridge is the SAME whether your ink and toner is new or used. Just like most other items that you may sell on auction sites or classified listings, chances are you already have printer toner in your home or office. If you started using a new printer/copier or simply bought too much printer toner, you can easily sell if it’s unused and unopened. If you don’t have any toner on hand, there are quite a few places you can search. Garage sales can contain the most random things from antiques and toys to even office supplies. Drive around town or even check your local newspaper to find the next garage sale near you. Also, do not be afraid to do some research in advance and prepare to negotiate and haggle to get the best price possible for printer toner. Absolute caution is to be exercised here. Read the package thoroughly, check the dates and do test out before agreeing to buy. There’s a good chance of losing your purchase price if you do not carry out due diligence. Most stores like Walmart sell EVERYTHING. This includes groceries, sporting goods and yes, printer toner. Unfortunately (or fortunately for you), items like printer toner stay on the shelves much longer than many other consumables because not everyone needs each particular model. Thus, printer toner is one of the more common products to get and marked for clearance at department stores. Check out for such signs at your local megastores. Generally, after the back to the school campaigns end, you may get a better price on the toners that were not sold. 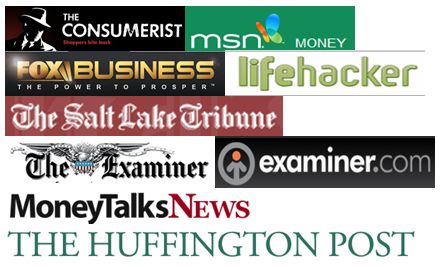 Craig’sList is usually everyone’s goes to when it comes to classified sites. There are others out there and the less popular they are, the more beneficial they can be for you. Check the “for sale” sections often and you might be able to grab some printer toner for cheap or even FREE. A “curb alert” is when someone leaves everything they’re throwing away the day/night before their garbage collection and let scavengers ( I mean strangers ha ) know their address. Just like most other products, brand name printer toner has the highest value. We’re talking about HP, Canon, Brother, and Lexmark. Brands like Konica, Ricoh, and even Dell have some value as well. Any other brands that you see will earn you a lot less. 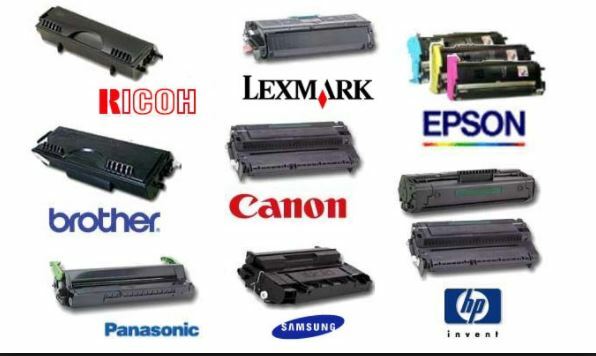 This includes any remanufactured or compatible cartridges. Everyone wants to buy branded bottled water (or better!) over the store brand water. Also, just like when you buy some electronics, check that your toner packaging is without defects. If the toner’s box has rips, tears, dents or writing on it that’s clearly not from the manufacturer, the toner’s value drops significantly. Printer toner value can fluctuate a bit so make sure that you don’t sit on toner too long as its value may decrease depending on demand from other buyers. When you buy you buy only from brand stores directly. 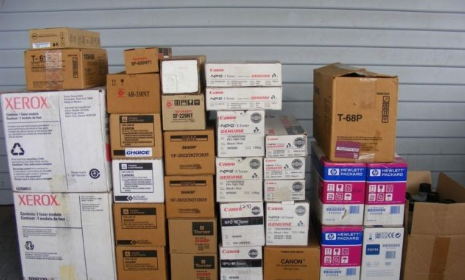 There are quite a few toner buyback companies out there that are willing to purchase your unused and unopened brand name printer toner. All you have to do is simply complete their form, snap some photos of your toner or upload a spreadsheet list. You can print out your own shipping labels (which they cover if you sell them at least $100 worth of toner) and you’re set. There’s no worrying about driving to an office supply store after work or class. You do everything on the website and get status updates throughout every step. Not all toner buyback programs are trustworthy so make sure that you choose one like Toner Connect which is rated A+ and accredited by the Better Business Bureau and has over 200 five-star reviews on Google. Toner Connect advertises that their average order is at least $300. That’s a nice chunk of change for something that you were just about ready to give to Staples for $2 coupons. Even better, selling your printer toner will get you to cash in your wallet instead of a coupon that you must use at a store before it expires.